Emma becomes fixated on Jennet, neglecting herself, her beloved dogs and her husband, to the point where her marriage may not survive. As Jennet and Emma’s lives become further entwined, Emma’s obsession deepens and she realises that the curse Jennet inflicted on the Ramsgill family over two hundred years ago is still claiming lives. Emma is the only one who can stop Jennet killing again, but will her efforts be enough? This is the kind of book that you can pick up and read in a day, there’s nothing too technical or complex in the storyline that would make a reader want to take their time reading this and this in itself presented me with a problem; I really wasn’t sure what kind of a rating this particular short story should have. The story is actually, in my opinion, two stories set in the same area of England; one of them being current times and the other being the late 1700’s. As much as I really wanted to see a comparison made between the lot of women in these two eras, I just failed to be invested in the modern day plot and found myself skimming over these parts to find out what was happening in the past; in my mind the main protagonist of the book was the woman grounded in the past, and the way the Author grew her from being a grieving teenager to a vindictive woman was extremely realistic and convincing. By comparison the modern day equivalent came across as being less credible and if anything hinted that the reader may not be bothered too much by the gaps in her personality. The Author did do their historical research though and, I did enjoy the way the Yorkshire dialect was included in the speech patterns. As a whole the story itself was interesting and well written, but could have done with more polishing to make parts of it more credible. I would classify this book as more of a haunting short than a horror short. If I am ever on the lookout for another quick light read to fill a couple of hours, I will probably look at something else written by this Author. This book was read as part of my 2016 Reading Challenge; a book you can finish in a day. Robert Oppenheimer was among the most brilliant and divisive of men. As head of the Los Alamos Laboratory, he oversaw the successful effort to beat the Nazis in the race to develop the first atomic bomb—a breakthrough that was to have eternal ramifications for mankind and that made Oppenheimer the “Father of the Atomic Bomb.” But with his actions leading up to that great achievement, he also set himself on a dangerous collision course with Senator Joseph McCarthy and his witch-hunters. 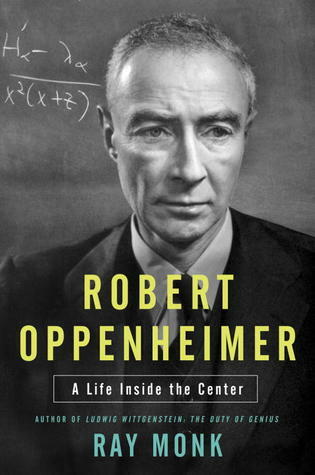 In Robert Oppenheimer: A Life Inside the Center, Ray Monk, author of peerless biographies of Ludwig Wittgenstein and Bertrand Russell, goes deeper than any previous biographer in the quest to solve the enigma of Oppenheimer’s motivations and his complex personality. The son of German-Jewish immigrants, Oppenheimer was a man of phenomenal intellectual attributes, driven by an ambition to overcome his status as an outsider and penetrate the heart of political and social life. As a young scientist, his talent and drive allowed him to enter a community peopled by the great names of twentieth-century physics—men such as Niels Bohr, Max Born, Paul Dirac, and Albert Einstein—and to play a role in the laboratories and classrooms where the world was being changed forever, where the secrets of the universe, whether within atomic nuclei or collapsing stars, revealed themselves. But Oppenheimer’s path went beyond one of assimilation, scientific success, and world fame. The implications of the discoveries at Los Alamos weighed heavily upon this fragile and complicated man. In the 1930s, in a climate already thick with paranoia and espionage, he made suspicious connections, and in the wake of the Allied victory, his attempts to resist the escalation of the Cold War arms race led many to question his loyalties. I don’t read many biographies as I tend to come out of most them with more questions than answers about the subject; this was not the case with this superb biography of Oppenheimer. Through careful and extensive research the Author paints the picture of a man who was not only a puzzling character but a man of many contradictions. The only continuous thread that seems to run through the whole of this man’s life was his undeniable love of America, and it was this love that appears to have had an influence in many of the choices he made. However, as the reader progresses through this large book, even this love of America is open to contradictions and leaves the reader wondering if Oppenheimer actually had loyalty to anyone but himself. In my opinion the only consistent thread in Oppenheimer’s life was his love of physics. This is a meaty book will definitely make a reader a think; about the justification of the Manhattan Project, about the issue of identity in America, about the morality of using Fat Man and Little Boy on the Japanese, and above all about the motives behind Oppenheimer’s actions. 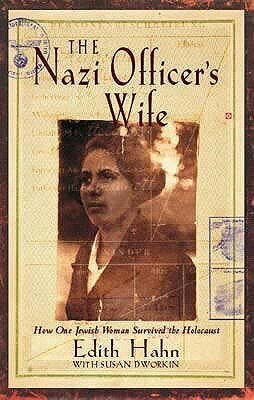 There is no doubt that it is exceptionally well-written, and is definitely not a book to be dipped in and out of, it is serious reading at its best without the dryness of many biographies. I would highly recommend this Oppenheimer biography both for clearly laying out the man behind the myth that was Robert Oppenheimer and also to reveal some of the mystery that was the United States in the 1940’s and 1950’s. Anne Boleyn and Lucy Cornwallis: queen and confectioner, fatefully linked in a court rife with intrigue and treachery. She was the dark-eyed English beauty who captivated King Henry VIII, only to die at his behest three years after they were married. She was both manipulator and pawn, a complex, misunderstood mélange of subtlety and fire. Her name was Anne Boleyn. 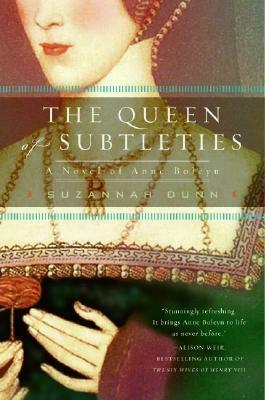 In The Queen of Subtleties, Suzannah Dunn reimagines the rise and fall of the tragic queen through two alternating voices: that of Anne herself, who is penning a letter to her young daughter on the eve of her execution, and Lucy Cornwallis, the king’s confectioner. An employee of the highest status, Lucy is responsible for creating the sculpted sugar centerpieces that adorn each of the feasts marking Anne’s ascent in the king’s favour. They also share another link of which neither woman is aware: the lovely Mark Smeaton, wunderkind musician—the innocent on whom, ultimately, Anne’s downfall hinges. I picked this up in the local thrift store, and it will be heading back there just as quickly as it came home. 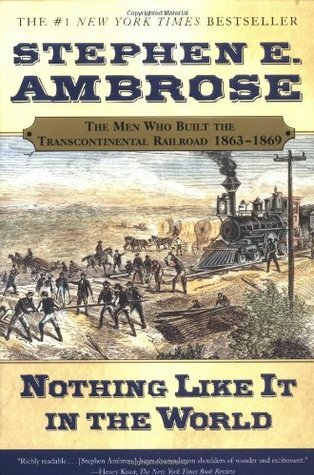 After my seemingly bad run of luck with books recently, I was hoping that a historical piece of fiction might help break the dam; it was not going to happen with this book and, to be honest I didn’t finish it either. I had many issues with the book as far as I read. The character of Anne Boleyn was rather insulting when compared to what is known of her from historical documents. In this interpretation of her character she is portrayed as being the innocent pawn of her Families’ ambitions to rise higher within the Tudor Court, rather than the driven and confident woman who readers are used to. As one of the narrators of the book, the language she uses is far too modern for the time period in which it is set, and this was the reason for my not finishing the book. The language used by both Anne and the other narrator was extremely distracting and, I can’t help but feel the Author wrote this book in this manner to make her work more accessible to the modern reader. I wish I could say something good about the contents of this book, but the only saving grace about it for me was the cover image, which I kept returning to look at time and again and this was the reason for my 1 thumb review. I will not be reading anything else by this Author, and find it a hard book to recommend to anyone who enjoys a good historical novel.